At a recent BDS conference in Chicago Miko Peled said the following. “Palestinians are subjected to the inevitable brutality that comes with occupation and they are subject to racist laws that are designed to discriminate against them, to disenfranchise them, to take away their land and eventually get them to surrender completely or leave or die.” In the light of that reality how should votes in European parliaments to recognise a Palestine state be judged? I disagree with Miko to the extent that I believe it’s wrong to label (if only by implication) all who voted in favour of recognizing a Palestinian state as cowards. Many of them would like the governments of the parliaments of which they are members to set a timetable for an end to Israel’s occupation of the West Bank and siege of the Gaza Strip prison camp with the declared intention to isolate and sanction the Zionist (not Jewish) state if it did not comply with the withdrawal timetable. My point here is that the real cowards are European leaders and their governments. In that light, and noting that European leaders are not prisoners of the Zionist lobby to anything like the extent President Obama is and loathe Netanyahu and his ever expanding settlement policy every bit as much as he does, the question arising is this. Is there any reason to believe that the time is coming when European leaders will stop being cowards and summon up the courage to take action to cause (or try to cause) Israel to end its defiance of international law and be serious about peace on terms which would provide the Palestinians with an acceptable amount of justice and security for all? At the time of writing there is a French initiative underway. Its purpose is, it seems, to get a new Security Council resolution in which the Arab Peace Initiative of 2002 would be a key component and which would limit restarted negotiations for peace to two years. According to usually well informed sources the French have received an assurance from the Obama administration that it will not seek to derail the initiative. And this has led the French to entertain the hope that Obama will not veto a new Security Council resolution no matter how much Israel’s leaders, their lobby and its deluded, so-called Christian fundamentalist allies object to it. At first glance the developing French initiative seems to offer a small ray of hope for a peace. But… There is no indication of whether or not a new UN Security Council resolution would declare that Israel will be isolated and sanctioned if at the end of two years of a restarted peace process it was maintaining its rejectionist position and demonstrating that it’s not interested in peace on any terms the Palestinians could accept. Without a declaration that a rejectionist Israel will be isolated and sanctioned a new Security Council resolution would be just another cowardly and symbolic act. I want to close this post with some suggested reading for President Obama. It was drawn to my attention by John V. Whitbeck, an American international lawyer who specialises in conflict resolution in general and international law as it relates to the conflict in and over Palestine that became Israel in particular. It is a quotation from part of President George Washington’s Farewell Address in 1796. In this letter to his people America’s first president warned of the political dangers that had to be avoided if Americans were to remain true to their values. Here is the paragraph containing his most prophetic vision. … a passionate attachment of one Nation for another produces a variety of evils. Sympathy for the favourite nation, facilitating the illusion of an imaginary common interest, in cases where no real common interest exists, and infusing into one the enmities of the other, betrays the former into a participation in the quarrels and wars of the latter without adequate inducement or justification. It leads also to concessions to the favourite Nation of privileges denied to others, which is apt doubly to injure the Nation making the concessions; by unnecessarily parting with what ought to have been retained; and by exciting jealousy, ill will, and a disposition to retaliate, in the parties from whom equal privileges are withheld: And it gives to ambitious, corrupted, or deluded citizens (who devote themselves to the favourite Nation) facility to betray, or sacrifice the interests of their own country, without odium, sometimes even with popularity; gilding with the appearances of a virtuous sense of obligation a commendable deference for public opinion, or a laudable zeal for public good, the base or foolish compliance of ambition corruption or infatuation. If he could revisit us today I am sure he would say that America’s passionate attachment for Israel has produced the variety of evils he described. If the time comes when President Obama has to debate with himself about whether or not he should veto a Security Council resolution demanding that Israel ends its defiance of international law with the promise of sanctions if it doesn’t, I think he should read the whole of Washington’s Farewell Address before making his decision. The "token" recognition of Palestinian state means the denying of Islamic resistance which received the majority votes in 2006. In other words, like the BDS movement, this also provide legitimacy to foreign Jewish occupation of the 78% of the historic Palestine. If one reads BDS Declaration, he will find to his surprise that BDS is not against the Jewish occupation of 78% of the historic Palestine. BDS uses the word “occupation” for the West Bank and Gaza Strip but not even for East Jerusalem which all were occupied by Israel as result of its 1967 War of Aggression. The BDS demands from Israel; 1) Ending its occupation and colonization of all Arab lands occupied in June 1967 and dismantling the wall, 2) Recognizing the fundamental rights of the Arab-Palestinian citizens of Israel to full equality (meaning Israel has the right to exist within pre-1967 borders); and 3) Respecting, protecting and promoting the rights of Palestinian refugees to return to their homes and properties as stipulated in UN Resolution 194. Zionist Jew writer David Cohen boasted at Jewish site algemeiner on December 23, 2013 that BDS is not anti-Israel but against world Jewish power. Miko Peled is, of course, right, but symbolic recognition is a good starting point towards redressing the wrongs of the past. 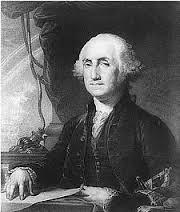 Had George Washington's words of wisdom been heeded, the US would still be today the envy of the rest of the world. I understand that the original BDS call call for an end to occupation of all Arab lands, not just the '67 occupation. Somewhere along the line, the BDS was co-opted to change this language and this was done without consultation with the organizations creating and backing BDS. In this sense, the current BDS Call is Zionist and consistent with J Street etc. I can support this as a halfway measure, a doable partial solution. ONce the '67 occupation is entirely unwound, it will be possible for moral people to go after the Zionist racist enterprise. So Peled's remark is not consistent with current BDS or any halfway measures and he is therefore insensitive to political realities at this time. He should support any symbolic move in the right direction including the votes of European Parliaments. I believe the '67 Occupation can be undone leaving some semblance of a state for Palestinians (mostly refugees) and that, thereafter, the Zionist state will simply fade away as irrelevant to emerging global realities, precisely where Zionism has been right along. Obama will veto any such initiative: He has had many opportunities to demonstrate decency and morality and has failed every time. His soul is way too damaged to rally around one simple initiative. He is NOTHING BUT an apparatchik of a power configuration that is heavily Jewish and Zionist. Without it, he disappears. Washington's words are aptly used by the Council for the National Interest http://www.councilforthenationalinterest.org/new/ to frame its denouncing of support to Israel that has damaged and goes against the interest of the United States. Since it is American's trillions of dollars and American UN veto power that sustains Israel, the United States is the key to Palestinian freedom. This is why the US was attacked on 9/11 and in numerous other attacks at home and abroad. But US voters remain ignorant, largely due to Jewish-Zionist ownership and control of all mainstream Right and Leftist media. Americans will never care about the murderous expansion of Israel in enough numbers to dump their AIPAC-owned Congress and Jewish-bought Presidents until the case can be made for them that supporting Israel has bankrupted them. Mutli-trillion-dollar never-ending wars that the US is engaged in are wars for and because of Israel. This is the message that may get voter's attention: We need tens of millions of jobs rebuilding America's rotting cities and infrastructure. We can't have those jobs until we dump the blood-sucking parasite Israel and its de Facto agents in Washington.